The Lanham’s … set a course to educate and train us so Lucky’s transition to our home would be successful. Their experience and understanding of canine (and human) behavior was amazing and comforting. Each time a problem was identified they not only gave a solution, but helped us understand how, albeit unwittingly, we often perpetuated the problem. We have had such success in a short amount of time …I’m sorry to say our friends who experienced trainers with the “pain to train” philosophy are still experiencing difficulty managing their pets… the Lanham’s were a godsend to our family. Thank you for encouraging us to work hard and be consistent, it has truly given us remarkable results. I contacted Curtiss and Melba even before Coco, my cockapoo puppy, arrived in my home. I had heard that it is the owner rather than the puppy who needs to be trained – and I that they were the “go-to” team for this. From the moment Curtiss and Melba arrived, they showed ease and confidence in working with Coco – and with me…What seemed most important to them and has been the foundation of our training experience is that Coco and I build a relationship, a genuine connection. They taught me how to do that with Coco – who knew it was a skill that could be learned? As a result of carefully following their lead, I now have the puppy of my dreams. 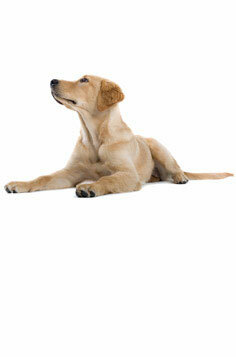 Even those of my friends who train their dogs and are skilled at doing so are astonished. Additionally, I have called them from time to time to ask training questions. In each case they tell me how to build on the techniques they taught me to extend Coco’s skills and address the issue I’m needing help with. Training your dog with the Lanhams is a gift that keeps on giving – an investment with durable and reliable dividends. I am sure he is still learning and we are not giving up, he has changed 180 degrees since you have been here. Please put our names down on your referral list. We have been so pleased with the program. We are converts! All my friends and family combined have been unable to ease my pain like your words have. A dear friend once said Dogs are God's gifts for but a short time, so we must cherish them all the while knowing they are not ours to keep. We still have miles to go, but we had learned a lot … that in itself has given us a good start. Thank you for all your help! I have enjoyed meeting you and am so glad for your honest and friendly personalities to help us make this transition in our family.